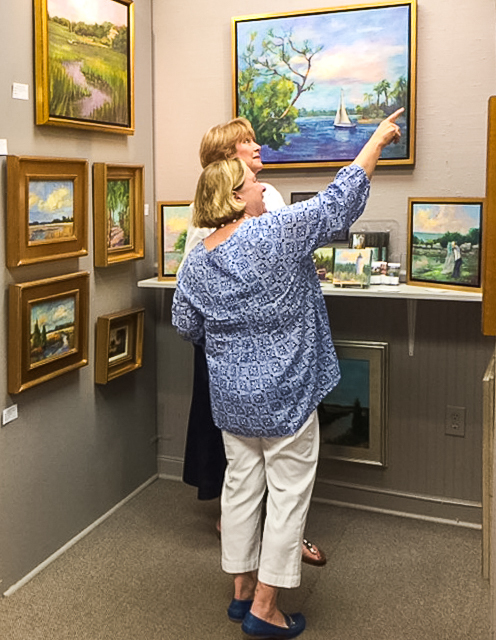 Shows and Exhibits - Pat Puckett Fine Art - Art from the "Low Country"
The Charleston Artist Guild (CAG) began in 1953 when seven local Charleston artists launched the organization in an effort to help artists network and involve themselves in community programs. 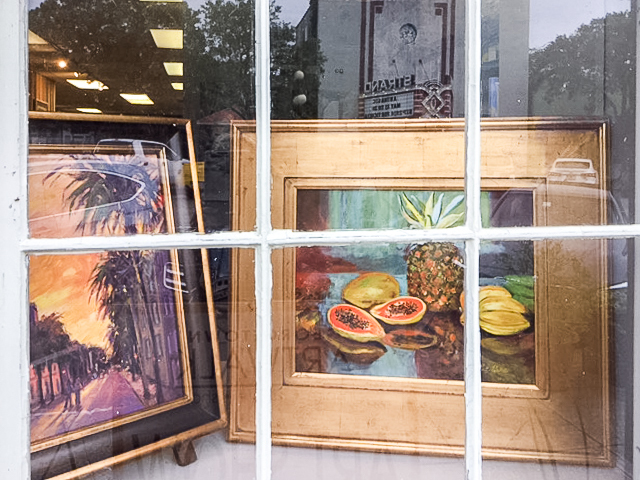 Today, the Charleston Artist Guild is a nonprofit organization with over 500 members, whose mission is to promote the practice, teaching, and recognition of Fine Arts in Greater Charleston, South Carolina. 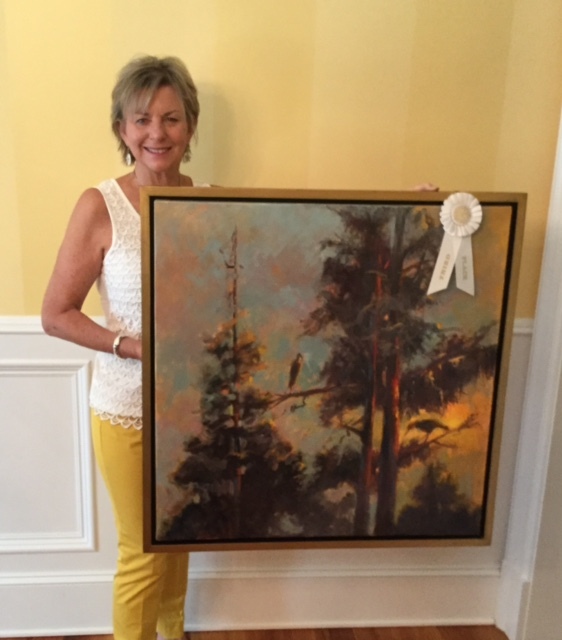 Pat's oil painting "Bye Bye Daylight Hello Evening" placed third in the 2017 Georgetown Art Walk juried Exhibition. Other works on exhibit can be seen at The Georgetown Art Gallery, 705 Front Street, Georgetown SC 29440 and by appointment only at her private studio. 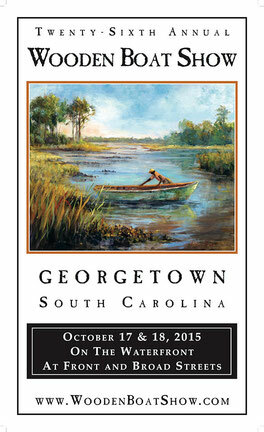 Pat Puckett painted a master craftsman in her artwork titled Lowcountry Oysterman for the 2015 Wooden Boat Show poster, and the image is homage to renowned boat builder Willie Dereef. The viewer can tell his legs, hidden behind a small wooden boat, are planted knee-deep in the pluff mud of Oyster Bay in North Inlet. He is gathering oysters from nearby banks, and the fading-yet-brilliant colors of fall are in the surrounding reeds, grasses and trees. Those measured splashes of color and intricate plays of shadow and light, especially ones resulting from the cool and fleeting brilliance of early mornings or the soft warmth of late afternoons, are part of the joys of painting that Puckett has embraced. 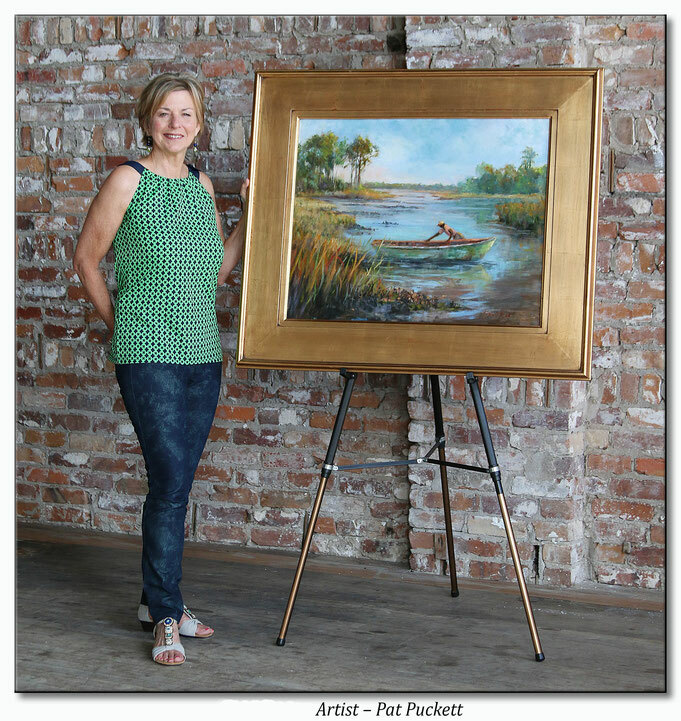 Puckett, a Conway native, has a background that led her naturally to painting Lowcountry beauty. She has fond memories of growing up with family gatherings along the banks of the Waccamaw River, fish fries and summers spent at the beach. First her talent with colors and design manifested itself in 23 years’ experience as an interior designer. Now she expresses that talent with oil paints and brushes. One of Puckett’s home interior clients was artist Jane Woodward, “…and seeing her work, I was inspired to paint and began taking several workshops with Jane at Coastal Carolina University.” She has also studied oil painting with Jim Calk, Betsy Havens (both Wooden Boat Show poster artists), Mike Rooney, Elizabeth Bronson and Laurie Meyer; and pastels with Tammy Papa. After attending a plein air workshop in Tuscany called “The Colors of Light and Shadow,” Puckett was hooked on the method, which involves painting outdoors and capturing the beauty of natural light and shadows. 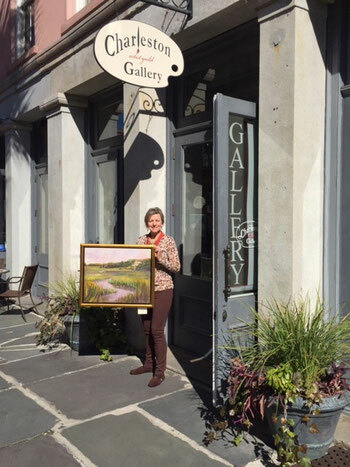 Puckett motivates the plein air movement in her role on the visual arts committee for the Pawleys Island Festival of Music and Art. 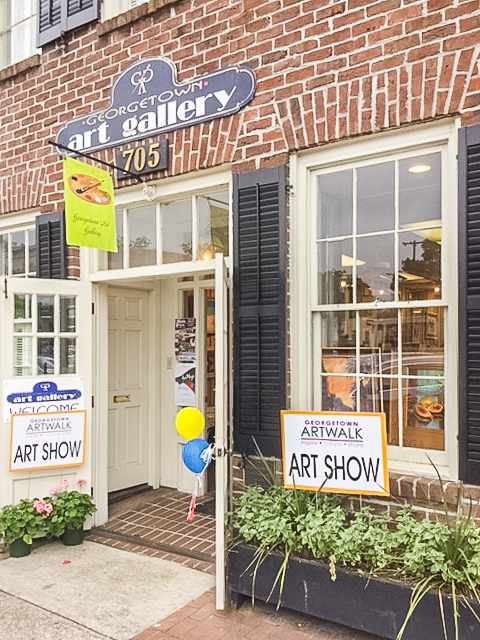 On Sept. 25-26 more than 30 artists will set up their easels along the Georgetown waterfront and streets and “paint the view in front of them” during a festival event called Seaside Palette en Plein Air. It will culminate in an art sale and reception on the lawn of the Kaminski House. For anyone thinking about taking up painting, Puckett encourages them to find artists they admire, and take lessons or workshops. In January 2015, Puckett accepted the challenge of creating the art for the Wooden Boat Show poster. The late Willie Dereef, who passed away in January 2015 at age 90, learned his craft from an uncle, and he passed the knowledge on to his son. 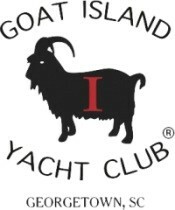 During his lifetime he built or helped build about 130 small and sturdy flat-bottom wooden boats. He was considered a master craftsman, and one of his boats is on display at the South Carolina State Museum in Columbia. In the background of Lowcountry Oysterman, Puckett painted the tall pines and cypress trees Dereef and other artisans used to build boats in the late 19th and early 20th centuries. They had flat bottoms so their captains could navigate shallow waters teeming with fish and oysters. Pat Puckett’s works can be viewed at her website, patpuckettfineart.com, at Spencer Gallery in Charleston and at the Townhouse Restaurant in Georgetown. During the entire month of September, an exhibit of her works titled Life, History and Roots of the Lowcountry will be on display at the Waccamaw Neck Branch Library. The exhibit is part of an ongoing Lowcountry Rice Culture Forum, and Puckett says she is honored to be part of the project. 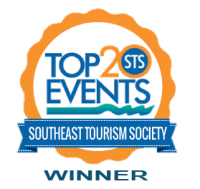 The unveiling of Lowcountry Oysterman will take place at 6 p.m. on Thursday, Aug. 20, at the SC Maritime Museum at 729 Front St. in Georgetown. Copies of the poster will then be available for sale in the museum. The museum is open from 11 a.m.-5 p.m. Mondays through Saturdays. While admission is free, donations are appreciated. For more information about the poster or the 26th Annual Georgetown Wooden Boat Show, which is Oct. 17-18 along the city’s historic waterfront, please contact Sally Swineford at (843) 340-3879 or river.room@gmail.com.